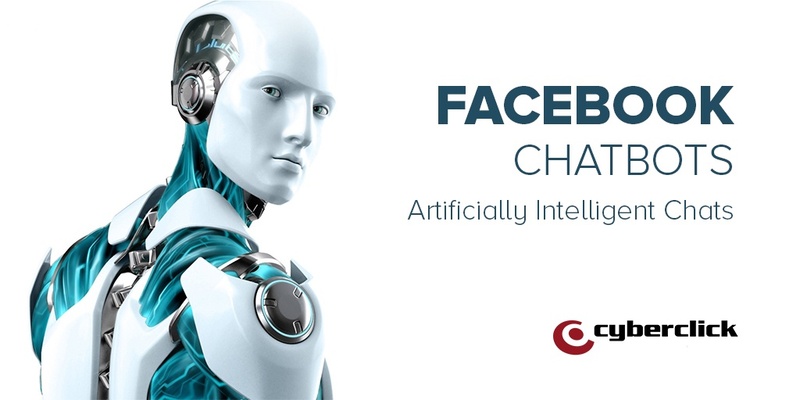 Did you know that very soon you will be able to chat with Artificial Intelligence programs on Facebook? This initiative, meant mainly for companies, allows for the automation of customer service and purchases through ecommerce, as well as offering users interactive content and experiences. These kinds of programs are most definitely on the rise, and will change the landscape of digital communication as we know it over the next few years. Today, I would like to tell what exactly Facebook’s chatbots are and how they work. The chatbots are artificially intelligent programs, that hold conversations with humans, answering their questions and making suggestions; in other words, it is a software that is able to communicate with us. In Facebook’s case, this features is integrated into its Messaging application. For example, 1-800-Flowers lets you send a bouquet of flowers to someone simply by sending the bot the person’s name, while CNN can send you a daily summary of all the stories related to your interests, leaving out those that aren’t. Logically, this opportunity is made mainly for companies, but will, one way or another, affect the other 900 million active monthly users that use this social network’s messaging app. As a part of his F8 Developer’s conference, Mark Zuckerberg confirmed that Facebook Messenger’s users will be able to chat with the chatbots, just as they would with their friends. How do Facebook’s Chatbots work? 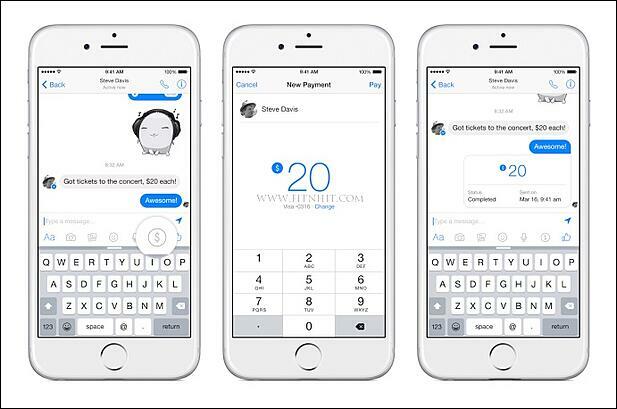 Through Facebook Messenger’s new API, the bots will be able to interact with users through text, images, links and call-to-action buttons. Thanks to these, users will be able to complete actions like reserving a table at a restaurant, reviewing an online purchase, answering their questions about products, and more. At the moment, direct payments cannot be made through Messenger, but it is possible to view product catalogues connected to the website, where the transaction is then completed. A toolbar at the top of the Messenger window will help users find all about the new bots. Companies who are already communicating with their clients through SMS will be able to use a Twilio tool to easily move those conversations to Messenger. All Messenger conversations with chatbots will have a “Block” button in an upper corner, so users can silence them whenever they wish. Developers can create their own bots, or work with Facebook’s bot developing partners. Furthermore, Facebook has its own Bot Engine, built in collaboration with a startup called Wit.ai. Basing itself on the same system used by Facebook to teach its own Artificial Intelligence system, M, the developers can send the Bot Engine example conversations for it to learn to manage similar situations on its own. How does this new feature help brands? The main advantage for brands of these chatbots is, without a doubt, is that it makes managing customer service so much easier. 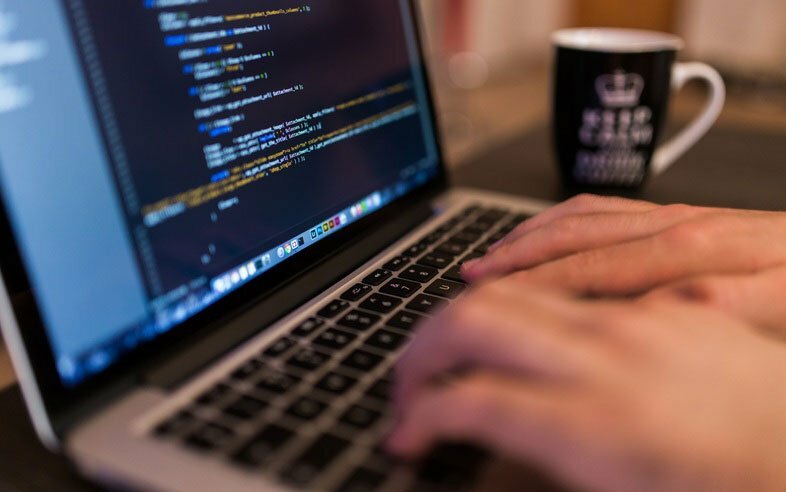 Automating this feature allows companies to help users in less time and at a lower cost; some studies even show that people feel more comfortable interacting with these kinds of online programs than with a human over the phone. Another advantage of these are the new advertising possibilities. To profit from the platform, Facebook allows companies to send ads with sponsored messages to people who voluntarily initiated conversations with the brand. A new option will also be added to the ads in the “Latest News” section, allowing users to initiate a conversation with a bot with just one click. Chatbots are in fashion at the moment, but the truth is that they’ve been around for quite a few years already. In the sixties, Joseph Wiezenbaum invented what is believed to be the first chatbot in an Artificial Intelligence lab at MIT in Massachusetts. Her name was Eliza and was designed to process our language and work as a therapist, but was not yet a very sophisticated system, some times answering, for example, a question with another question (just like real psychologists!). One of the most discussed concepts concerning chatbots is the Turing Test. It is a test that was proposed by Alan Turing back in 1950 in his Computing Machinery and Intelligence study. The goal is to evaluate a machine’s ability to exhibit intelligent behavior, similar to or indistinguishable from that of a human being’s. In this test, a human evaluates natural language conversations (through a computer and written) between a person and a machine designed to give answers similar to a human’s. 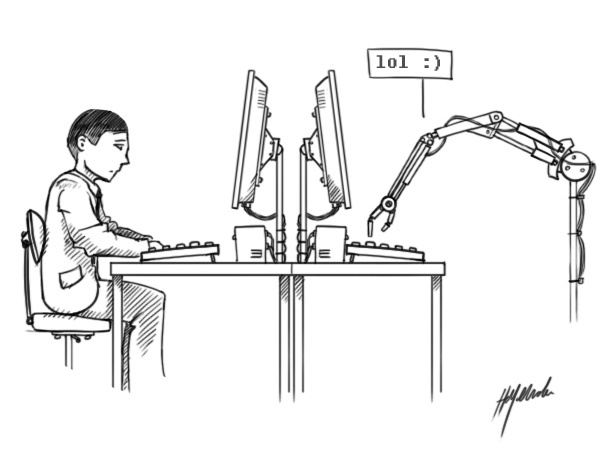 The machine only passes the test if the evaluator is not able to distinguish correctly between the computer and the person. For decades, there was no chatbot advanced enough to pass Turing’s test, even with regular tests and competitions. In 2014 however, came the news that a computer had passed the Turing test for the first time, pretending to be a 13-year-old Ukrainian girl. And although there were certain critics who questioned the validity of this test, the truth is that over the past years we have been experiencing a new boom in this are of technology. In March of 2015, Tay, Microsoft’s got its time in the spot light for having too absorbent learning abilities. As a joke, come users decided to engage with this chatbot (who was originally designed to hold informal conversations on social networks), prompting him to make several racist and xenophobic comments. All incidents aside, however, chatbots are becoming increasingly more present in our day-to-day lives. It seems inevitable that they will end up replacing customer service phone calls, and become more and more used as mobile personal assistants, like Siri. If initiatives like Facebook’s chatbots are successful, artificial intelligence programs will end up redefining our marketing strategies. Pay attention!